Are you looking for best lightweight browsers for Windows 10/8/7 PC? Well, if yes then keep reading. There a lot of web browsers available for Windows 10/8/7 out there. While all of them serve the main purpose of browsing the internet, they all differ in terms of their performance. If you have ever used a modern browser like Chrome or Opera, then you must know that they are resource hungry. It can be a significant issue for users with older or low power computers. Thankfully, there are best lightweight browsers out there which work flawlessly on almost all computer. Apart from being lightweight and properly optimized, they also have the same features as any other primary web browser for Windows. But there are a lot of lightweight browsers available out there which can be confusing. I have also shared sites like Fingerhut. So, today we are here with the 7 Best Lightweight Browsers for Windows 10/8/7. Therefore, if you have a low power computer and want a decent browsing experience. Then make sure to go through all of them. And if you like any of these browsers, then you can download them using the provided download links. 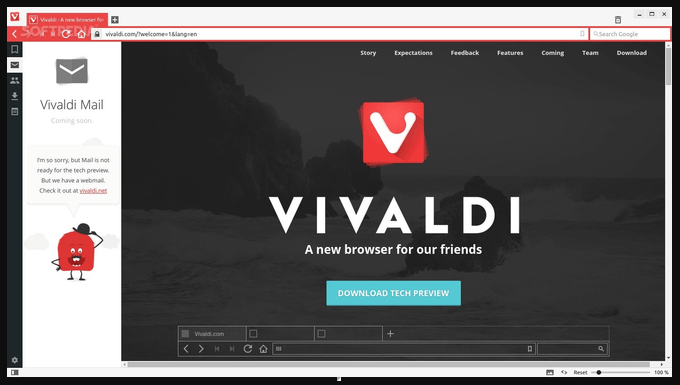 Vivaldi is one of the most popular lightweight browsers for PCs out there. 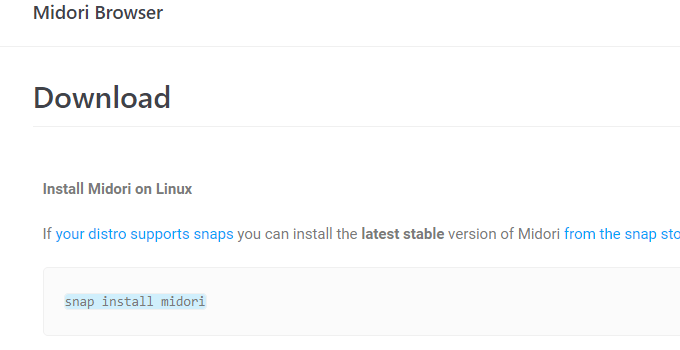 It is available on Windows 10/8/7 as well as Linux and MacOS. This means that you can have the same browsing experience on all of your devices. Even though Vivaldi browser is quite lightweight in terms of resource consumption, it has all the features that any new web browser should carry. You get tab management in Vivaldi just like any other browser which allows you to access multiple websites at the same time. It also has the support for custom shortcuts which can be used to create your own shortcuts. This can result in increased productivity while browsing the internet in Windows 10/8/7. Since Vivaldi is from a trusted developer, it is highly secure when it comes to accessing websites online. Recently, I have shared these WiFi analyzers for windows. 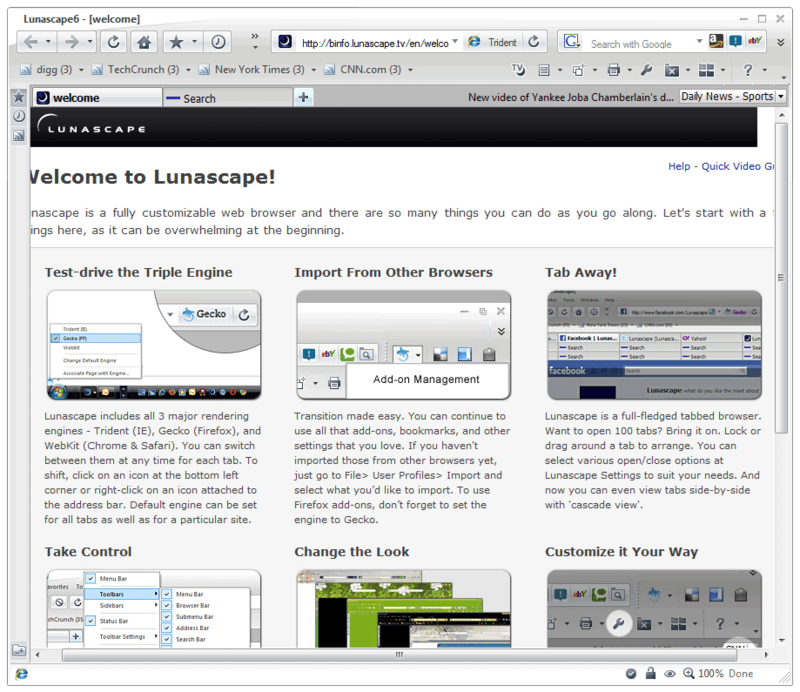 Lunascape is a lightweight browser which is available on almost all platforms. Not only you can use Lunascape on your Windows computer, but it is even available for Android devices. Lunascape is different from the most lightweight browser because of its framework. It is a web browser that has three web engines inside it. Lunascape comes with Trident, Gecko, and WebKit engines built in. While browsing the internet, you can choose one of these engines for accessing the internet. And the best part about this feature is that you can change the default engine on the fly while browsing the web. Even though there are three engines in this browser, it uses very few system resources. The user interface of Lunascape is also quite good and intuitive. And you will also find all the standard features of a web browser in Lunascape. 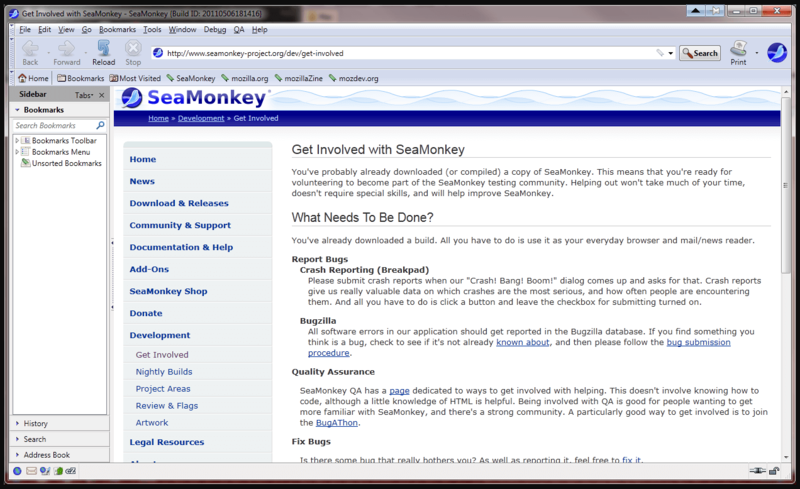 SeaMonkey is a very well known open source lightweight browser for Windows 10/8/7. Since this browser is opensource, it is preferred by a lot of developers. Apart from being a web browser, SeaMonkey also has a built-in email client. This means that SeaMonkey can also act as Microsoft Outlook without the need of opening a dedicated email tab in your browser. It also offers a chat room service to its user as well as the ability to create simple web pages within the browser. The later can be a highly useful feature for web developers who are working on basic web pages. SeaMonkey is a lightweight browser for Windows that has a number of advanced features in it. It comes with things like a password manager, mouse gestures, voice control, session restore, etc. All of these features are great to have in a lightweight browser for Windows. Comodo is known for its security products like antivirus software for Windows. But apart from making security tools, Comodo is also known for Comodo IceDragon. 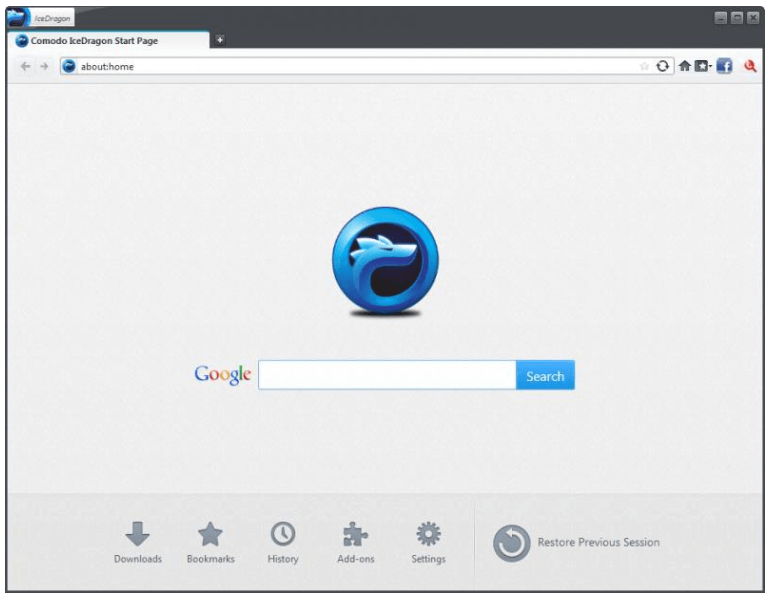 Comodo IceDragon is one of the most optimized lightweight browsers for Windows. Since Comodo deals with security products for computer, the IceDragon browser is highly secure. When compared to other lightweight browsers, Comodo IceDragon has the most security-oriented features. Apart from being highly secure, you will also find all the significant features of a web browser in this one. It even includes things like extensions and add-ons which allows you to add extra functionality in your browser. One of the unique features of this browser is that it comes with its own DNS server. Comodo IceDragon claims that this results in faster browsing speeds as well as improved online security. If you are looking for a lightweight browser without any extra features, then Midori is just for you. Midori is a simple browser which is targeted at basic users who want a highly optimized browser. Even though you will not find any of the advanced features in this browser, it still has the basics. You can find things like incognito mode, HTML5 support, RSS feed, bookmarks, etc. in Midori. Not only that but Midori also has the support for tabbed web browsing. It essentially allows you to access multiple webpages at once just like any other modern day browser. If you like minimalistic designs, then you will love Midori’s user interface. Midori has one of the most straightforward user interfaces in terms of its looks and design. The Maxthon Cloud Browser is one of the best lightweight browsers for PC that have the support for cloud sync. This feature is quite familiar to the sync features in Google Chrome via your Google Account. Maxthon uses its cloud servers to sync user’s data between different devices. It allows the user to have the same data like history, bookmarks, saved passwords, auto-fill, etc. across all devices. Not only that but it also has many other useful features which are great to have in a lightweight browser. 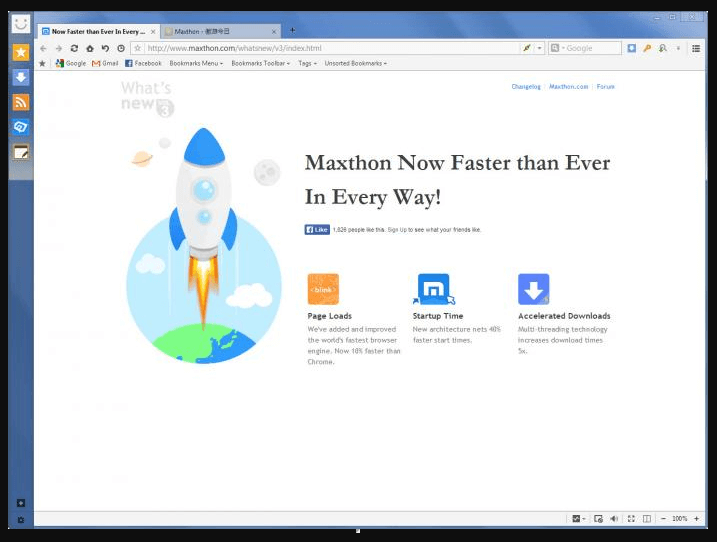 You can find things like night mode, reader mode, RSS reader, note pad, screen capture options, and many other elements within the Maxthon Cloud Browser. And just like Lunascape, Maxthon also has multiple engines built-in. It includes webkits from both Internet Explorer and Google Chrome that can be used by the users according to their need. The torch is a lightweight browser built for those users who watch videos online or listen to music on their computers quite often. It has many features included that can be useful for media consumption on the internet. The torch also comes with a feature called Torch Music which uses YouTube for music playback. 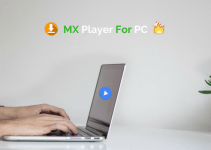 It allows the user to play any music from YouTube in the background without loading a video. Not only that but this same feature can be used to access media from websites other than YouTube. Furthermore, Torch also has some of the most advanced download options in a lightweight browser on Windows 10/8/7. 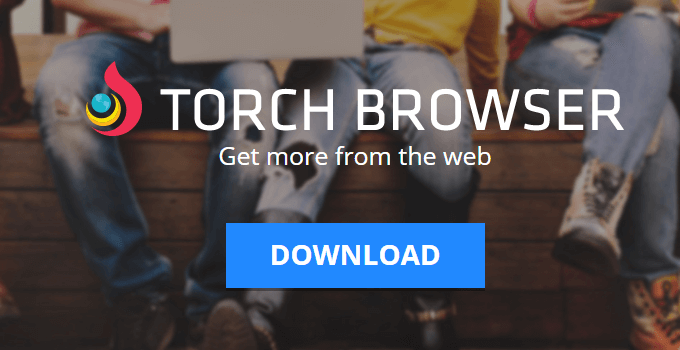 You can use Torch for downloading YouTube videos as well as torrent files within your browser. It also has a very interactive and modern looking user interface that will be liked by most users. 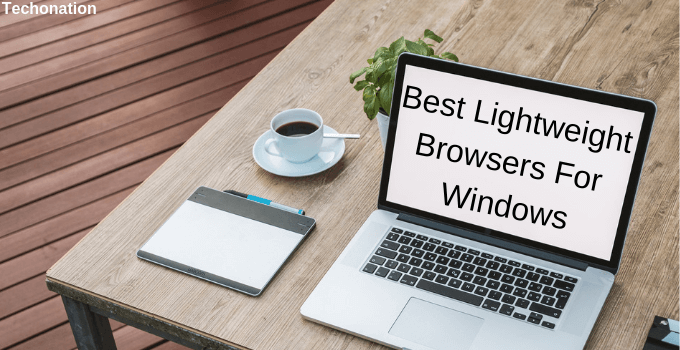 Well, I hope that you’ve found these web explorers useful and liked the above mentioned 7 best Lightweight browsers for windows 10/8/7. I am impressed with the Vivaldi; you can try all of them and choose the best one for yourself. Did you find this article useful? If yes, then please don’t hesitate to share it with your friends. Feel free to ask if you have any doubts. Which browser is your Pick? Hi, I am Jitender a passionate blogger from Rajasthan, India. I am a tech savvy guy who spends most of his time exploring new things in the world of technology. I always like to discover latest stuff related to tech and gadgets and loves to share them on this blog.